Kevin Federline Wants more Money in Child Support: Is he Eying his wife Britney Spears’ Net Worth? Going by the recent turn of events, it is quite clear that Britney Spears and Kevin Federline’s child support issue won’t come to an end anytime soon. Federline and his attorney met Jamie Spears, Britney’s father, last week and talked about increasing Kevin’s monthly child support payment. According to Kevin, the $20,000 he has been receiving every month isn’t enough for the two sons—Sean Preston, 12, and Jayden, 11—whose joint custody they share. Does Kevin want more money from Britney? Many see Kevin’s latest demand as a strategy to make more money off his wife’s earnings. Britney Spears’s current net worth is estimated to be about $215 million while she still earns millions of dollars annually from concerts and performances. Born on December 2, 1981, in McComb, Mississippi, Britney was raised in Kentwood, Louisiana, and entered the entertainment business at a young age. She signed to a New York City talent agent and started taking vocal lessons when she was just 8. Spears signed with Jive Records in 1997 and brought out her debut studio album …Baby One More Time in 1999. The album turned her into a teen sensation throughout the world. Britney then came out with Oops!... I Did It Again, in 2000, to positive reviews. The album, like the one before, sold in millions, while her songs Oops!... I Did It Again, Stronger and Lucky became chartbusters. The news about Kevin’s demand was first leaked by the entertainment outfit The Blast, which also claims that Jamie responded to his former son-in-law’s demand by saying that the Spears family was ready to provide a monthly budget for Federline instead of accepting his child support demands. Unfortunately, the proposal that came back amounted to no modification of support, but it indicated to me that Mr. Spears has to recognize that he is the conservator for Britney and not for Kevin. Britney was placed under the conservatorship of her father by a court after her 2008 breakdown. Although the elder Spears has been more liberal now than in the past, he is still in control of Britney’s estate and finances. It was extremely tough watching her go through a phase where she was clearly not OK right after the divorce. There’s a lot more I could have done to help. Taking full custody of the boys sucked the life out of me, but it was for them. I have to give Britney’s dad, Jamie, a lot of credit for saving her. He made it so I could actually deal with her again. 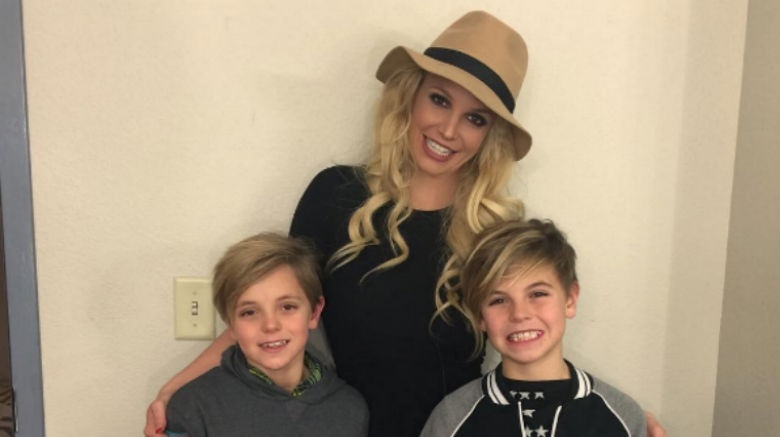 Kevin, who worked as a backup dancer, had even said earlier in 2016 that when it came to parenting their two lovely kids, he was on the “same page” with Britney. To those who have followed the life of the teen sensation whose adult life became media fodder for years, when it was splashed on a regular basis on the front page of innumerable tabloids. Britney and Kevin were married in 2004 and divorced in 2007. Before Kevin, the star was married to her first husband Jason Allen Alexander. The marriage, however, did not last even a year. Is Kevin living off Britney's money? Popular entertainment portal TMZ has said that Britney’s father Jamie Spears will now request for Federline’s 2017 tax return to find out if the dancer has been making a living or just living entirely off his former wife’s earnings. Federline’s attorney has already sent Britney’s father a letter, demanding the same from her side. The entertainment outfit has said that Jamie is convinced that Kevin has been misusing money provided by Britney and using it to provide for four other children he has fathered. So, he does not plan to pay more than his son-in-law is already paid. Kevin had spoken about the child support he received two years back, saying that the $20,000 a month was “definitely not anything to brag about.” However, the recent change in his demands has baffled many. Federline has been in a relationship with three women, including Britney, and has fathered six children in total. He is currently married to Victoria Prince with whom he shares two daughters. He also has a son and a daughter with Shar Jackson, his former fiancée.